RTR Subscriber Discount: 10% off face-to-face consultations. 20% off online or phone consultations. Do you want to discover new ways to cope with depression, anxiety and stress? Improve existing relationships with your partner? Or take your performance and productivity remarkably higher? 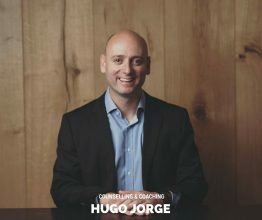 Get in touch with Hugo Jorge, a registered and professional counsellor devoted to helping you become and stay on the best version of yourself. Consultations face-to-face. Over the phone. Or online.